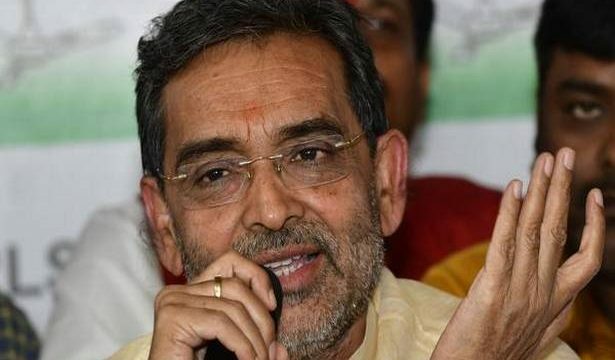 Amid confusion over seat sharing among NDA alliance partners in Bihar, Rashtriya Lok Samata Party (RLSP) president Upendra Kushwaha on Friday said his party would contest on more than three seats, the number it had contested in 2014 Lok Sabha poll. “We will contest more than three seats, the number we had contested in last 2014 Lok Sabha poll”, RLSP chief Upendra Kushwaha said while addressing journalists in Patna. “Lok Janshakti Party and RLSP too are in the NDA alliance in Bihar…you can well understand why until now final seat sharing announcement has not been made even after they said that it would be announced in next 2-3 days.” BJP president Amit Shah and JD(U) chief Nitish Kumar declared in Delhi recently that both parties would contest on “equal number” of seats out of total 40 Parliamentary seats in Bihar. “My party RLSP had made an alliance with the BJP at the time when even in BJP there was confusion over Narendra Modi to be declared as PM candidate…we had then said in Bihar that Narendra Modi should be the PM candidate. My alliance is with the BJP and not with the JD(U). Ever since JD(U) has come in the alliance confusion has increased”, he added. He also reiterated that he was hurt over Nitish Kumar addressing him as neech (demeaned) person in a programme. “Nitish Kumar should withdraw his statement…it has hurt me much”, Mr. Kushwaha said. He announced that RLSP would launch a programme “Shiksha mein sudhar-Jan Jan ka Adhikar (reform in education-everyone’s right) from November 28 in every district headquarter of Bihar.